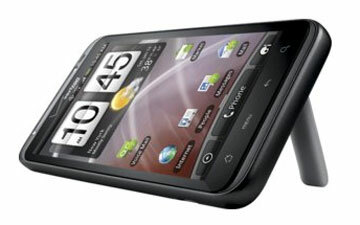 HTC Thunderbolt, the first LTE-supporting smartphone on Verizon’s network, will be available starting March 17 for $199.99 with a two-year contract, according to online retailer Wirefly. Without a contract, the device will cost $669.99. Wirefly’s site showcases several photos of the device, as well as a full list of specifications: 4.3-inch touchscreen, 8-megapixel camera with LED flash on the back and another 1.3-megapixel camera on the front, 8 GB of built-in memory and 32 GB of additional memory on a microSD card, and a single core 1 GHz Snapdragon CPU. As far as Android smartphones go, the HTC Thunderbolt is not a groundbreaking device, but its support for LTE makes it special. LTE (Long Term Evolution) is the widely adopted 4G-ready mobile network standard that will enable previously unattainable data transfer speeds (up to theoretical peak download rates of 326.4 Mbit/s) on mobile phones.